Many of the herbs that we buy in the supermarket are covered in pesticides and we as consumers cannot be sure of how they were grown. Herbs are a delicious way to spice up any meal prepared for you and your family, so why not grow your own to ensure a delicious AND healthy meal is prepared. Herbs are very easy to grow as long as some conditions are met. Thyme is very simple to grow and extremely good for you. Thyme has been know to aid in digestion and help with stomach ulcers. When growing thyme, make sure that it is planted in light soil, and that there is excellent drainage for the plant. Thyme likes to have dry soil between watering. 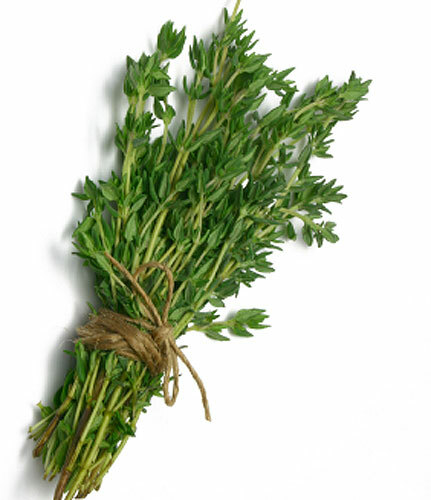 As for usage, thyme is delicious on a number of dishes such as meat dishes and in casseroles. Basil is another fantastic herb to grow. 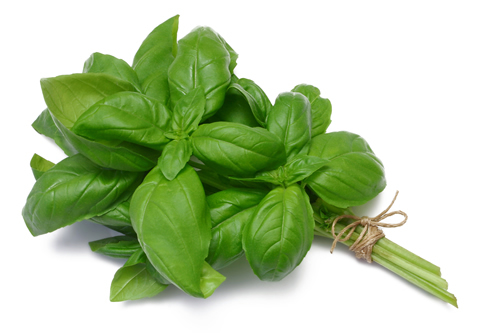 Known to have a sort of spicy/sweet taste, basil has the ability to lower blood pressure and have an all around calming effect. 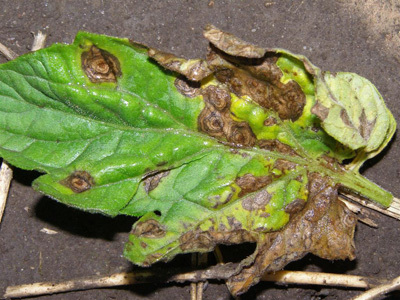 While growing, basil should be brought inside during chilly nights as it can easily be damaged in the cold. Basil is excellent in almost all Italian dishes, especially pasta sauces. One herb that is a big hit with me is cilantro. 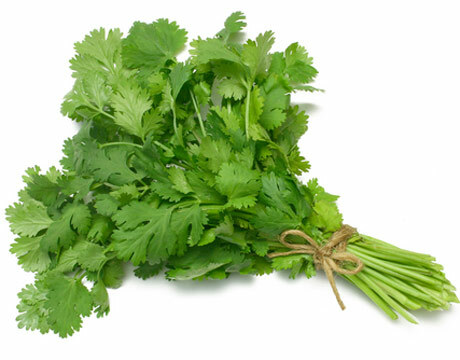 With its very sharp taste, cilantro is extremely tasty in a variety of dishes such a Mexican and Caribbean meals. Not only is this herb full of flavor, but it also carries important health benefits. Cilantro is known to lower bad cholesterol, lower blood sugar, and aid in digestion. Make sure to grow this herb during the cooler seasons, as the hot weather will excel the growth of cilantro and cause it to flower prematurely. Herbs do not take a lot of effort to grow, and with a little care, you and your family can enjoy the benefits of fresh and healthy herbs with all meals! Gardening: Get the Kids Involved! Gardening isn't just an activity for adults to do. 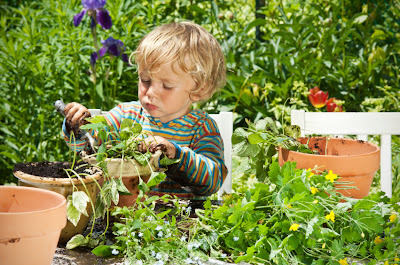 In fact, there are many lessons for younger children to learn through gardening. As well, its a fantastic life skill to have that can be passed down from generation to generation. So read on, and we'll show you how to get your little ones involved in the wonderful world of gardening! With such a massive topic, where do you start? Jennie Lyon of inhabitots.com says to start with a story. "Children love books, especially picture books and surprisingly even as your child gets older they will still find picture books captivating." She mentions that gardening picture books are plentiful in book stores and online. We recommend you find a book that is tuned towards healthy living as well, because it cant hurt to get them thinking about those important topics early! The next step is ensuring that your child have their own space to grow. By sectioning off their own space in the garden, this allows them to become familiar with the responsibilities of growing their own plants instead of piggy-backing off of your own plants. This doesn't mean that you shouldn't help them though! Selecting the veggies to grow is quite simple. You want something that doesn't require an incredible amount of attention or work, but will yield results for your children to see so that they will not become discouraged. Vegetables such as carrots, beans, lettuce, cucumber, and tomatoes are all delicious, nutritious, and simple vegetables for you and your kids to grow together! Once ready,dont forget to harvest your veggies as a family. This ensures that the process is not only done properly, but also allows you to teach your children the proper techniques and pass on the knowledge to them. Also, encourage your children to keep a journal of what vegetable was harvested and what the yield was. It doesn't have to be detailed, just a few drawing would be great! The most important tip we can pass along is to make it fun. Gardening can be a fantastic and rewarding pass time for both you and your kids! If you haven't noticed, there is method behind our madness when it comes to the design of our boxes we used for our gardens. 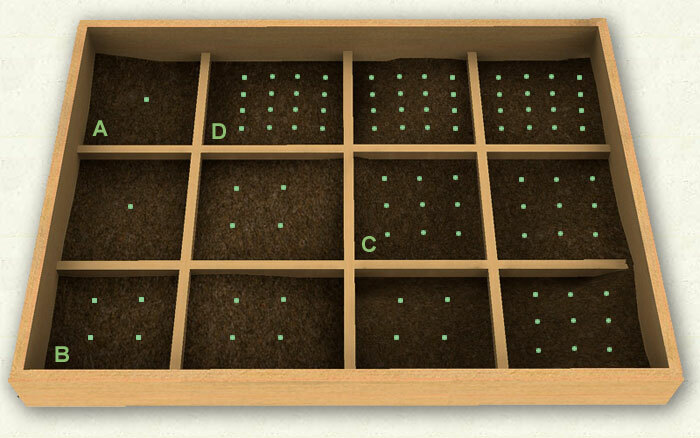 Our planters are created to maximize the method of square foot gardening. What is that you might ask? Well, read on and you shall be enlightened! 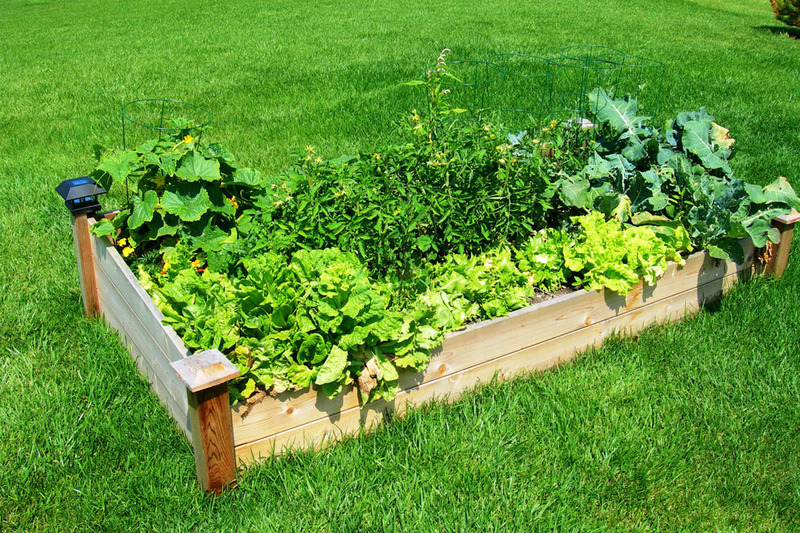 Square foot gardening is a concept that was popularized by a man named Mel Bartholomew, who understood the benefits of having a garden that was easily accessible from all angles, while ensure that the soil was safe from individuals walking through it. As well, he understood that a garden could maximize its growth potential if the total area was used efficiently. By allowing the maximum amount of alike plants to grow in one square foot, you are able to maximize the gardens output. For example, you can plant 16 radish plants per square foot, but only 4 strawberry plants per square foot. What is great about these planters is that it does not take a lot to be successful in your growing. Because you do not have to grow straight from the ground, and instead are able to control the variable in your garden (such as soil mixture and invasive plants), you are able to produce much more than with traditional methods. Another issue that the square foot planters alleviate is the lack of access to the elderly and handicap. 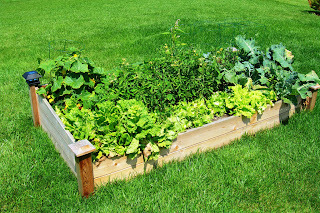 Originally, vegetable gardens would be in rows, and in order to tend to each plant individually, you would need to walk through your garden, get down on your hands and knees, and work. With raised square foot gardens, this is not an issue. The gardens can be as high as the individual needs them, making bending over or crawling around a thing of the past. 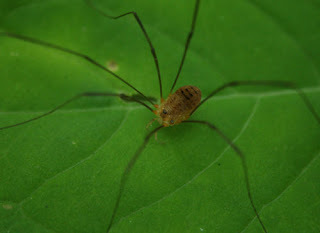 As well, there is no trudging through the dirt anymore in order to reach your plants; they are a mere arms length away. Mel is a great inspiration to the work we do at Green Gourmet Gardens, and through his teachings, we have been able to modify our gardens to ensure the most durable and healthy product. For example, the corners of our gardens are built with an overlapping design to ensure that there is minimal flex when the the garden is filled with soil. As well, we use western red cedar to build our planters. You can read all about the benefits of this wood here. So what are you waiting for? Let us build you the raised planter of your dreams and take advantage of this amazing way to grow fresh veggies for you and your family! If you haven't noticed yet, all of our products are made out of western red cedar. This is no accident. The benefits of using this wood are plentiful, both for style, health benefits, and environmental sustainability. Keep reading to understand why we at Green Gourmet Garden only used the best material for our planters. One of the greatest benefits of using red cedar for our planters is that it is completely renewable and recyclable, meaning that the footprint this wood leaves on the environment is literally zero. Many other products used to build planters such as plastic or metal use resources that will be forever lost. As well, wood products make up 47% of the raw materials harvested in the USA, yet only use 4% of the energy required to harvest all raw materials! 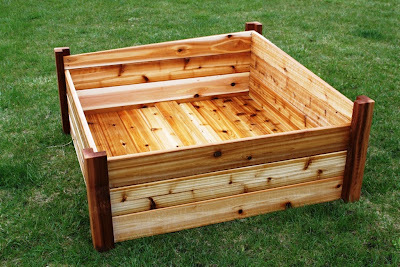 Another benefit of using western red cedar to build our planters is that it is a quality and durable building material. This wood has been used as a building material for literally hundreds of years in many different settings. As well, red cedar has a natural resistance to decay and insects, meaning that your planter will allow you to grow for years to come. As well, maintenance for red cedar wood is minimal. While the colour can fade over time, as all wood does, all it takes is a quick sanding or power wash to fully restore your planter to a full reddish shine. Finally, and most obviously, western red cedar just looks darn good! There's a reason that red cedar is used in every sort of building project. It makes any fence, deck, house siding, or other product really stand out and look great. Also, red cedar has a natural hue that no other material can mimic. With a variety of hues and grain patterns, red cedar is the obvious choice! 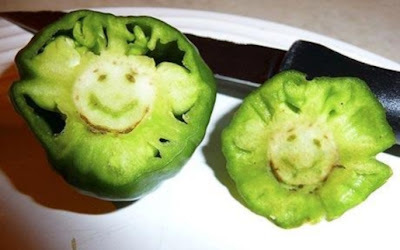 Home grown vegetable are the best way to ensure that you and your loved ones are consuming food that is untouched by pesticides or preservatives. Some veggies though are extremely packed full of nutritional goodness and contain major health benefits, far surpassing the average vegetable. Here are some examples of these super-foods that you can grow in your very own garden! 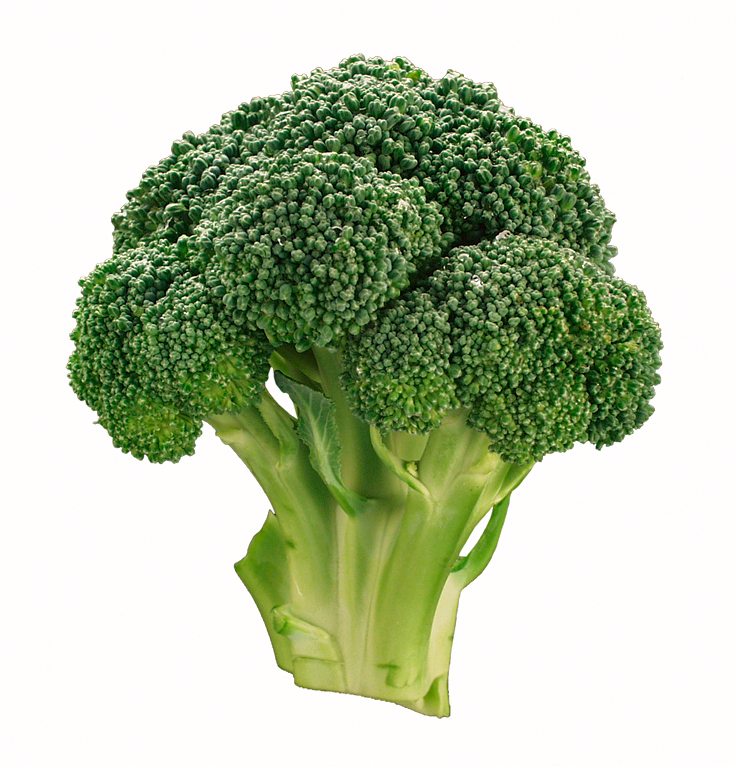 Broccoli is one of the most common, yet most healthy vegetables one can grown. First off, it is absolutely packed full of much needed nutrients such as vitamin C, vitamin A, calcium, and ESPECIALLY fiber (10% of your daily recommended intake in a mere cup). As well, broccoli is considered a cool weather crop, meaning that it can thrive in early fall. Broccoli can be prepared in many ways, from steaming them, to casseroles, to simply eating it raw! 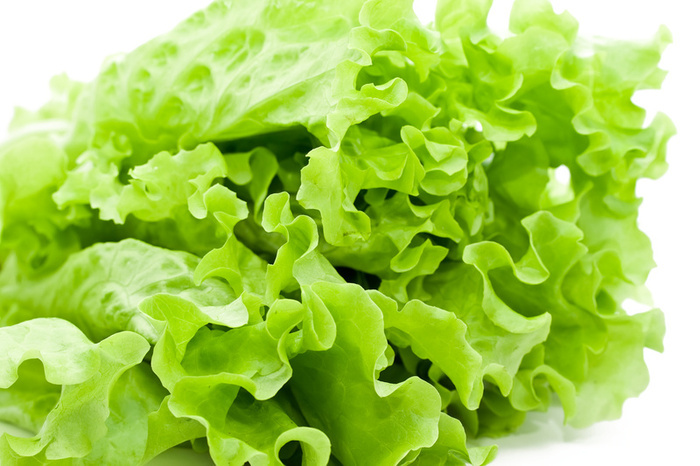 Another fine super-food to grow in your backyard garden this summer is lettuce. That stuff normally found in salads is packed full of flavonoids, which contains necessary antioxidants and cancer fighting properties. On top of that, this leafy vegetable is good for your ticker as well! In fact, one Harvard study concluded that by eating 8 or more servings of vegetables a day, and being sure to include leafy veggies, one can reduce their risk of coronary heart disease by up to 20%. On the stronger side of thing, garlic is an extremely healthy vegetable to grow in your own garden. While it may make your breath stink to high heaven, garlic is packed full of sulfur, which not only gives it that characteristic smell, but also helps to relax and expand your blood vessels, which in turn can lower your blood pressure. 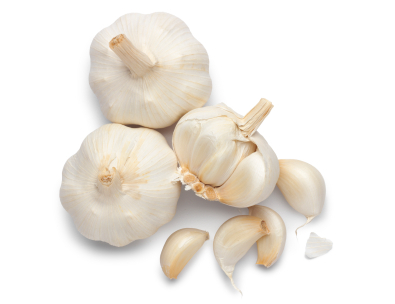 Furthermore, the allicin compounds in garlic are antibacterial and antiviral, which helps fight off cold and flu. So, as long as you don’t mind the smelly breath, plant some garlic in your garden for the amazing health benefits! Finally, one of my personal favourites is the sweet potato. This versatile veggie does an excellent job of stabilizing blood-sugar levels, unlike its potato cousin. 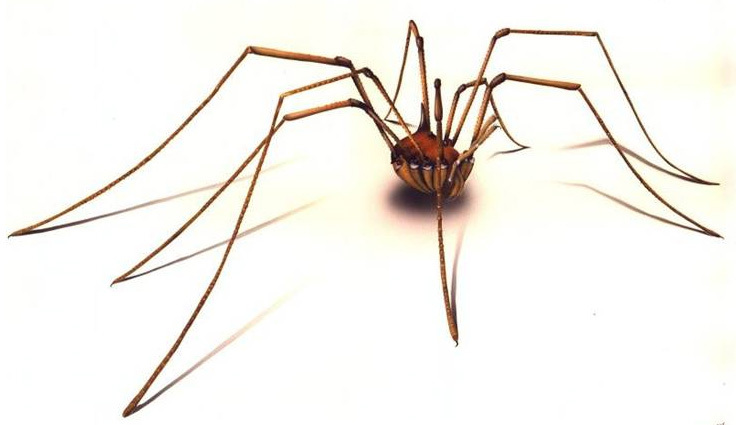 As well, it lowers the body’s insulin resistance, making it great for a diabetic’s diet. 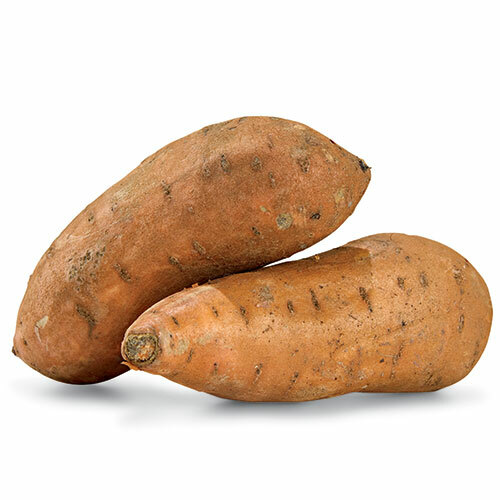 On top of this sweet potatoes are loaded with anti-inflammatory properties, which is great for conditions such as asthma and arthritis. But the best part about this plump produce is that it can be cooked so many ways! Bake it, mash it, fry it, the possibilities are endless. By growing these delicious and nutritious super-food veggies, you’ll keep yourself and your family healthy and happy. So what are you waiting for, get growing! Give back by growing your own garden! During World War I and World War II there was incredible pressure on food supply, which was brought on by the war effort because farmers were sent to war. 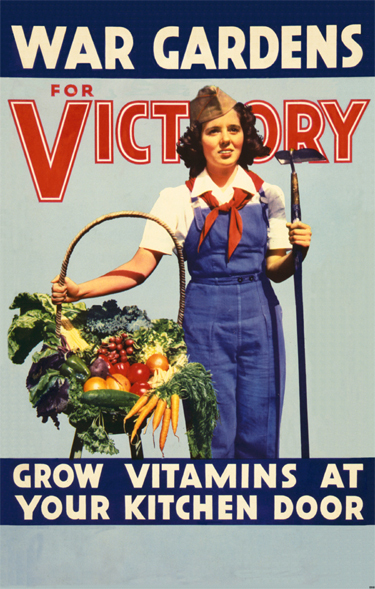 Thus, wartime victory gardens were created by civilians who were not only forced to deal with the scarcity of food supplies but also felt that it was their civil duty to give back. Growing your own garden during these wars was part of everyone’s daily life in Canada, US, and the UK. Sometime after this, we lost our way, and factory farms became the norm as life became too hectic! In a time when we are living with major global threats and shrinking natural resources, we should be taking a page out of our parent’s and grandparent’s book! Growing your own garden will be your opportunity to give back to this planet and give you that same sense of pride and duty that our ancestors felt. Stay tuned to our weekly blog and welcome to another fantastic gardening season!